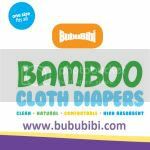 BubuBibi - www.bububibi.com - Bamboo Cloth Diapers: Please pray for my brother! Lionel is my little brother, even though he is 24, he will remain my little brother for the rest of my life. I am the 2nd daugther in a family of 4. When Lionel was born 6 years after me, all attention has been diverted to him. Being the second daugther, I grew up not having much attention. It was either my oldest sister or my brother because in our culture, the boys are important as they bring down the "family's name". Though, I never feel upset that he took all the attention, in fact, we were closer to each other than the other sibblings. My oldest sister and I always fight growing up since we were only 3 years apart but I had to help mom out to take care of Lionel since he is 6 years younger. We grew up with the traditional cloth diapers and that's why I know about this at a very young age. Few months ago, Lionel complain that his back is hurting. For years, on and off, he complains that he has sharp pain in the chest. He always thought that it is because he hurt himself during a basketball game. So, he has been drowning himself with Advil, the Costco size Advils has been drained out within weeks. Then, approximately a month ago, he started sitting up to sleep. Instead of laying down because it hurts him. Unfortunately, I travel for work, so, I do not see him Mon- Thursdays and being a young man, he doesn't come home early at all, by the time he comes home, I am already in the room working on my business stuff while accompaying my sons to sleep. 2 weeks ago, he started walking weird and I finally saw it when he attended my son's birthday party (even though he lives with me but he is always in his room). I insisted that he sees the doctor. He hasn't really shown us how painful it is because he knows that he does not have health insurance and he knows that I am the only person working since my husband lost his job, he didn't want to burden anyone. Last Thursday, I flew home and saw that this is not right, he has to drag himself and walking with a walking stick. We drove him to the nearest ER. They did a MRI and couldn't find anything, several doctors came by and finally, the did a second MRI and found out that his spinal cord has been compressed badly. We were in the ER at around 7.30pm and by the time they found this, it was already approximately 6am. Dad, mom and oldest sister including his gf were all there in the waiting room, all tired. Doctor came in at 7am, told his that he wants to perform an emergency surgery at around 1-1.30pm. Though, by 9am, a nurse came in, told us that the doctor do not want to wait as this is very serious. He performed the surgery. Around noon, we were told that he is suspected to have the Giant Cell Tumor. They took out as much as they can and they do not think the tumor has spread, though, he will probably have to go through radiation. Since he waited that long, the doctor said that there may be a chance where he may not walk like normal. 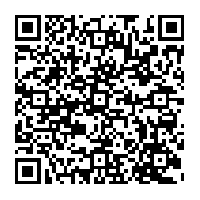 Everyday I deal with stress at work, stress at home and I have customers that think that I am a bad seller since I do not ship wtihin the time frame. Most of the times is because I am waiting for customers to inform me of the print/ color selection because in the past, if I haven't heard from the customer, I randomly ship to them and again, they were unhappy. To me, it is just always my fault. I can never satisfy anyone in this world. I just hope that sometimes, people would at least think that there could be going on in someone else's life and be easier on people. Sometimes, the harsh words that buyer says to me really gets to me because I do take each and every email personally. It's like a dream... a very bad dream, I can never imagine losing my brother.... especially he is only 24. Please pray that my little brother will heal and get to live with me for as long as I live. I love you Lionel, I hope you will grow and learn from everything, I hope that you will turn over a new leaf and appreciate everything around you.